The Netherlands is largely situated below sea level, with its impressive dikes being the only thing keeping the country of windmills going the way of the sunken city of Atlantis. 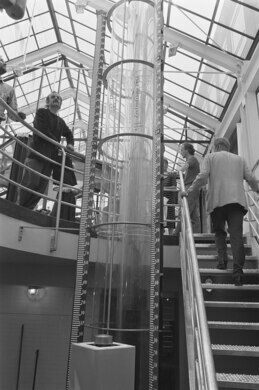 For this reason, the Dutch have long taken care to measure the height of the sea with extreme accuracy. This resulted in a reference point so much more precise than the others that most of Europe now uses it as a benchmark. The Amsterdam Ordnance Datum (called the Normaal Amsterdams Peil or “NAP” in Dutch) is based on the average high water mark and is measured in roughly 35,000 locations around the country. This gives a very accurate height level for land surveyors and actually is used as the Z coordinate of the European ETRS89 (European Terrestrial Reference System 1989), the frame of reference used to measure the planet. The NAP has been used since 1891 and is a renormalized version (hence the name) of the sea level measures used in Amsterdam as far back as 1684. This data is physically characterized in the form of a large copper bolt that can be found in the passage between the Amsterdam Town Hall and the National Opera & Ballet center on the Waterlooplein. 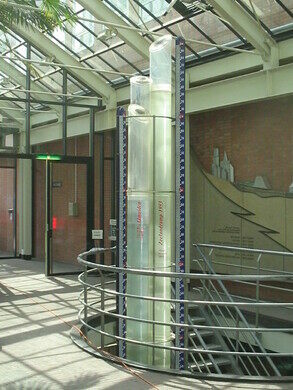 Next to the bolt, there are three water columns that show the difference between the high and low tide marks near Vlissingen, while the third column shows the height of the water during the 1953 flood in Zeeland, when levels rose a terrifying 16 feet (5 meters) above the average high mark. The NAP is free to visit during the opening hours of the City Hall. You can still see it through the glass doors outside of these times, but it is worthwhile to actually see it. 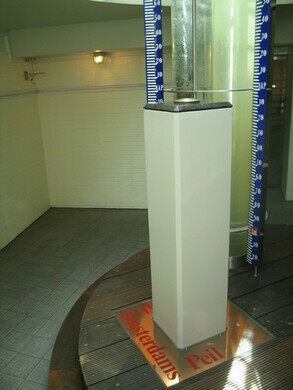 There is also a small visitors center with more information on the system and measurement points. The former home of a mad diplomat is said to still be marked in bloody, arcane scrawls.